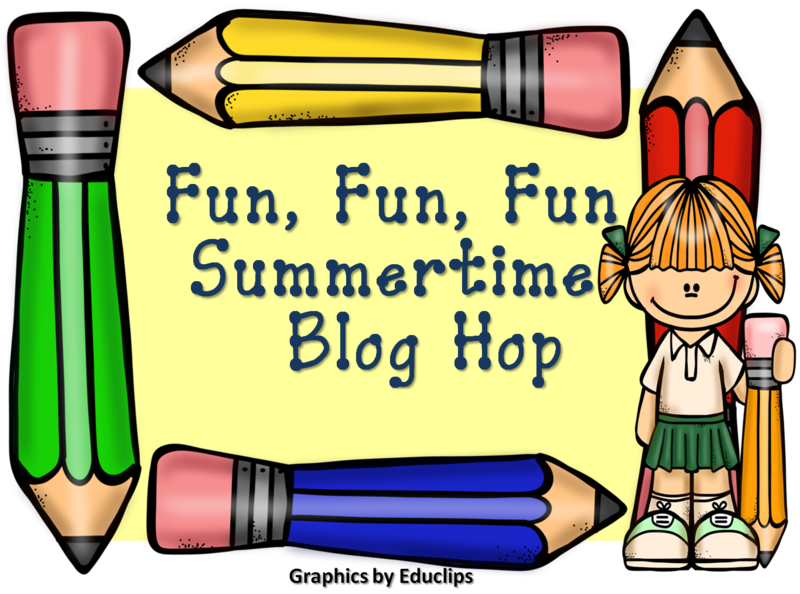 Welcome to the Fun, Fun, Fun Summertime Blog Hop! I've teamed up with Wise Owl Teacher Creations and a group of lovely bloggers so that you can read more about how to help keep your kiddos learning over the summer and grab some awesome freebies along the way! Today, we are going to talk a little about place value. Summertime is a great time to work with your child to get ahead and prepare for the upcoming school year! One thing that is fundamental for students to understand in mathematics is place value. I think that by the end of second grade it really is essential that students have developed a solid number sense and understanding of place value concepts. To do this kids need a lot of different kinds of instructional experiences. 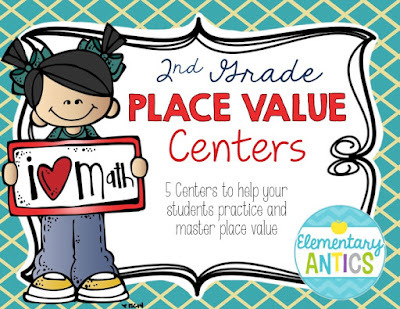 I just finished a set of Place Value Centers that would be great for fun summer practice and even better to use in your classroom to help your kiddos practice and master place value to the hundreds. Most of these centers are really hands on, so your wide variety of learners are all going to be happy. 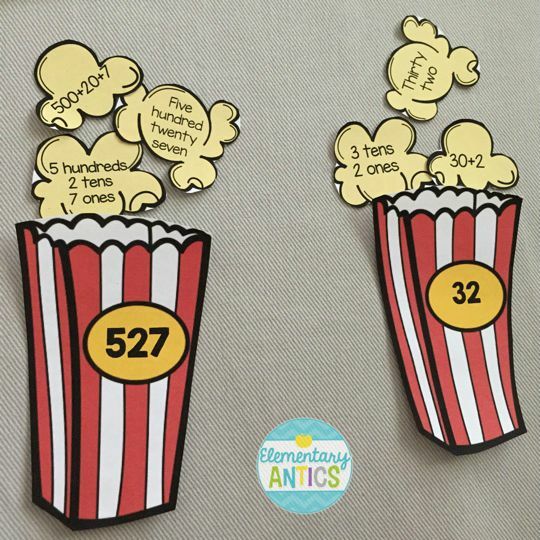 These are geared towards 2nd graders, but could easily be used with your advanced first graders or with third graders who need some more reinforcement with number sense and place value. First up are just some place value task cards. I LOVE task cards! I used them as centers or stations in math and reading ALL.THE.TIME. So, I had to include some with this pack. There are a wide variety of questions- asking students to find the value of a digit, look at base ten models, expanded form, and do some mental math adding and subtracting 10 and 100. There's an answer key included too so your kiddos can check these themselves. If you like task cards I have another set included in my Place Value Pack, plus tons of others in my store for a variety of skills. Another fun station- Poppin' Place Value. The students match each popcorn bag with the kernels that match the bag. More practice with written form, expanded form and values. There is also some practice comparing numbers. All of the centers use numbers up to 1,000 and can be differentiated by just taking out certain ones or even adding higher numbers if needed. The kids can sort each inequality on the mats then record them on the recording sheet. There is an answer sheet included so students can even check their work on their own. Last, but not least is mental math adding and subtrationg 10 and 100 using their place value reasoning. This center needs number cards. If you don't have any or just want some new super cute ones for your students you can get my Animal Number Cards for free in my store. So, there you have it for the centers included in this product. I know these are great for using throughout the summer and the school year to reinforce this essential concept. You can get these in my store for 50% off TODAY! So, maybe you are totally into some place value math centers, but really would rather be paperless? Or you're trying to implement more technology or Google classroom into your daily routine? You will LOVE my Digital Place Value Task Cards! These are 5 sets of digital task cards that you can use in Google Classroom, in Google Slides or many other apps. 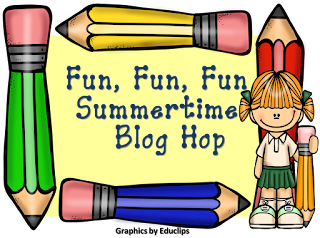 Just for our Fun, Fun, Fun Summertime Blog Hop I've got a special freebie for you! 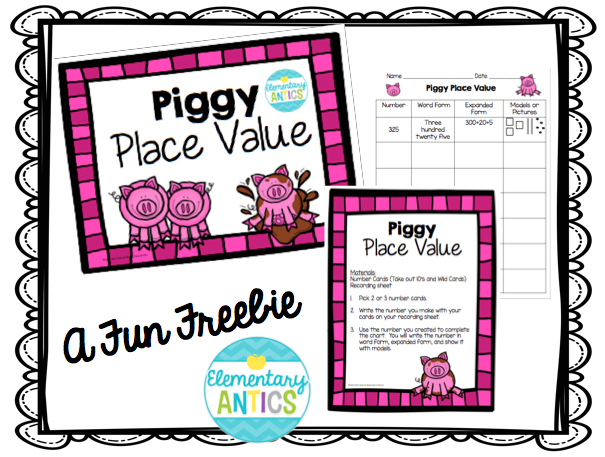 Another place value center that you can use in your class- Piggy Place Value. Just click the picture to download it. You'll need number cards for this one too, so don't forget to grab my Animal Number Cards freebie from my store. Follow my Place Value board on Pinterest for more ideas! Your popcorn resource looks so cute and interesting! You have some fabulous activities help students/children throughout the Summer! Great ideas! I really love the poppin' place value! 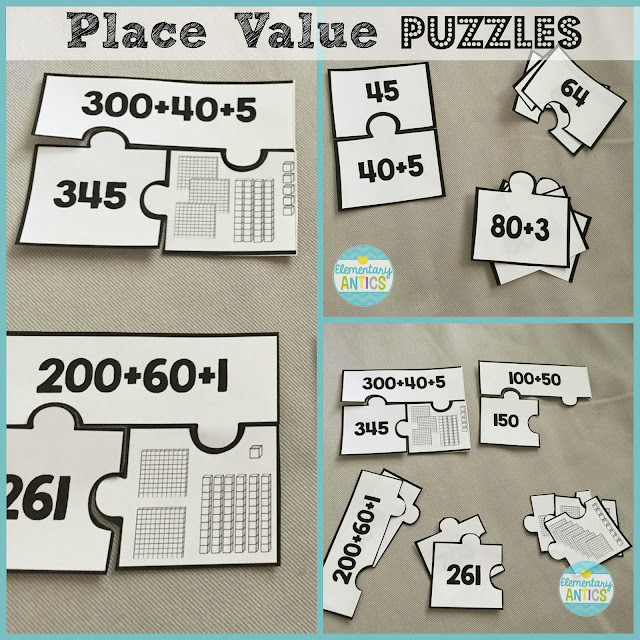 I love your place value task cards & puzzles. I love all of your math games. Children would love to play all of them during the summer! I'm really impressed!Great job! Amazing products!! !